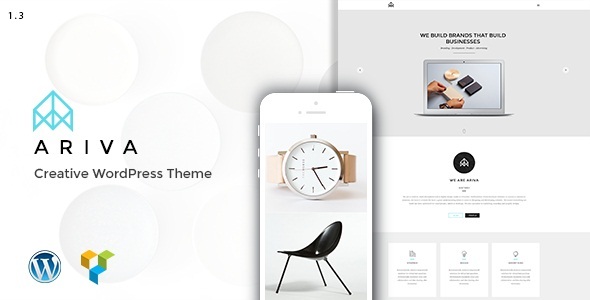 Hello everyone, Today we are going to share a 35+ Best WordPress Minimalist Themes. Lots of sites use minimalist designs and it’s getting more and more popular every day. I’ll help you find a minimal theme of your very own with a roundup of the better minimal themes released in the last two months.So here is the list of 35+ Best WordPress Minimalist Themes of 2015 take a look. 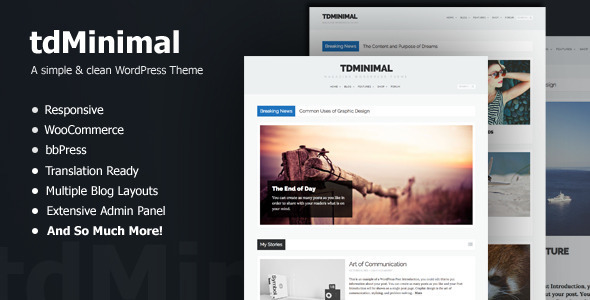 The Elegant theme is a simple yet elegant, multipurpose theme that removes all the the fancy animations and graphic effects, and instead focuses more on your content. Crafted with minimal design and great attention to typography, Elegant theme provides a stunning visual that displays and functions beautifully across all devices. While it doesn’t immediately stand out as being beautiful or striking, Milo is built to last and simply works well. For design, photography or e-commerce sites which require a blank canvas to showcase their content, Milo offers a simple and sturdy option. All of the essential features are thrown in, such as a mobile responsive layout, e-commerce capability and basic style control. Described as being for “creative professionals” as well as for “personal use”, it isn’t immediately obvious what Corner is actually best used for. While they are essential, Corner’s features are fairly limited. This means that while it can be used for a wide variety of websites at a fairly basic level, the theme doesn’t actually lend itself to anything specific. Folio is a clean and minimal WordPress photography and portfolio theme professionally crafted so you can elegantly showcase your work online. The portfolio custom post type makes it easy to add and mange your portfolio items while allowing you to keep your standard posts separate on the blog. 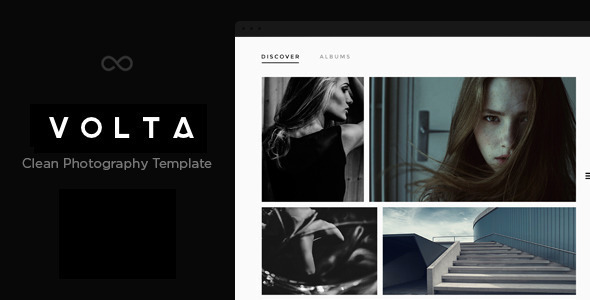 Volta is a clean and modern Photography WordPress Theme that is perfect to promote your photo gallery in a very professional and pleasant way. 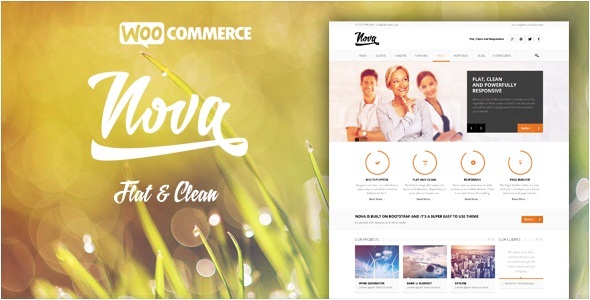 Volta is made of HTML5 and CSS3 using best wordpress framework Redux. It is fully responsive; it looks stunning on all types of screens and devices (desktop, notebook, tablet and mobile). 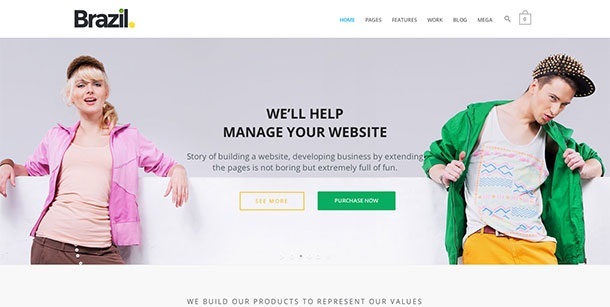 ARIVA is an onepage, minimal, clean and modern WordPress Theme for anyone who wants to build an amazing & modern website for their agency, company, team work, group of people, a music band, hiphop band, dancing band, dancer, freelancer team. Brazil is a Responsive, Retina-Ready WordPress theme with a minimalist, simple, elegant and clean style, a strong focus on contents and readability. It presents a modern business solution. Brazil is suitable for multipurpose websites such as business, company, portfolio or blog. Vega’s main focus is on making your portfolio gallery look great, meaning it is perfect for those who are only concerned with showcasing design work or photography. We didn’t want for the demo to be heavy and boring, that’s why we share the first and most essential feature of the theme – the way it’s built. WordPress is a platform, with thich we’ve been working for years and we’ve used tens of premium themes. We’ve been impressed by all of them with their incredible design. Weald is a Powerful, Responsive WordPress Theme, and it’s a great asset to any creative freelancer or agency. Everything is flexible and easy to customize. With this theme, you can create a single-page layout, but you can always use it as a regular website with separated pages. For newbie: It’s easy to install the theme, and all the homepage modules are ready for you in the theme options. The design of this theme is clean and minimal which helps give your website a great look. The functionality is simple and the support is amazing. I’ve purchased many themes before and by far Taras is the most responsive when it comes to support. 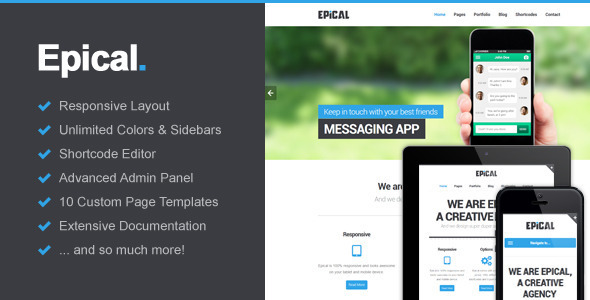 Epical is a minimalistic and bold WordPress theme for your business, blog or portfolio. It’s clean, creative, responsive and packed with all kinds of awesomeness: unlimited colors, 10 custom page templates, 6 custom widgets, 100+ shortcodes, 6 post formats, advanced admin panel and so much more! 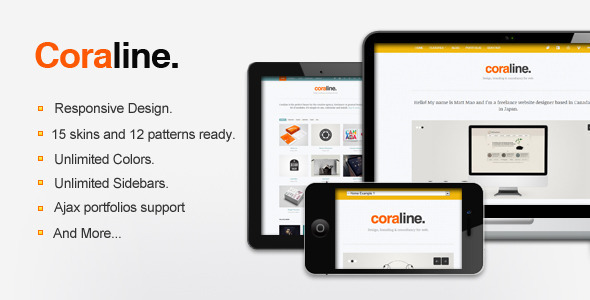 OneStudio is a unique responsive theme for architects, designers and anyone who loves a minimal and clean design. The retina-ready theme is SEO-ready and has a modern interface. 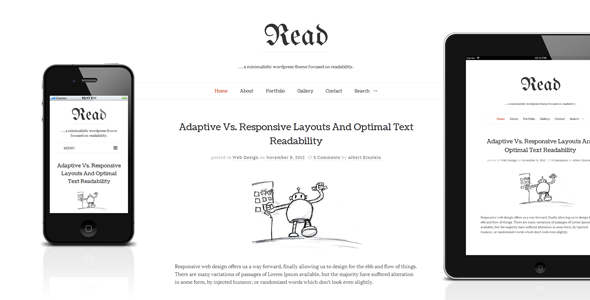 A clean, modern theme for online magazines or a personal blog. There is a Masonry blog version with upto 4 columns available for your use. Doors is a 100% responsive and parallax one page WordPress One page Theme for corporate, agency, photography or general business. It is very clean, creative and elegant one page theme. doors is powered with Bootstrap 3.2 Framework. It can be used for creative digital agent or even personal/freelancer to show portfolios and selling services. 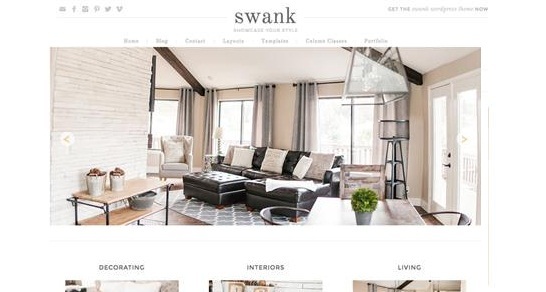 also you can use flat, hotel, photography, real estate, restaurant, showcase, beauty, seo, one page, single page, one page wordpress theme according to your need. Nyx is WordPress Theme with Multipurpose design. There are four different home layouts for Corporate, Lawyer, University and Medical. 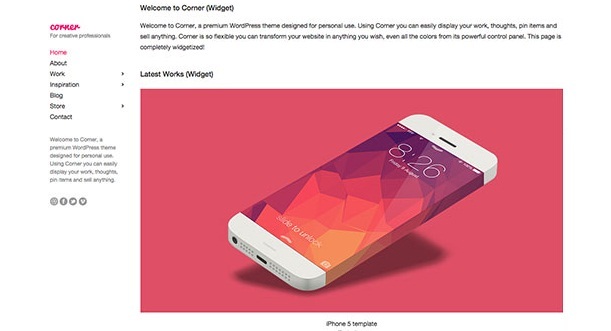 Our template makes it special is focus on details the highest quality code and you can get layered PSD Files. 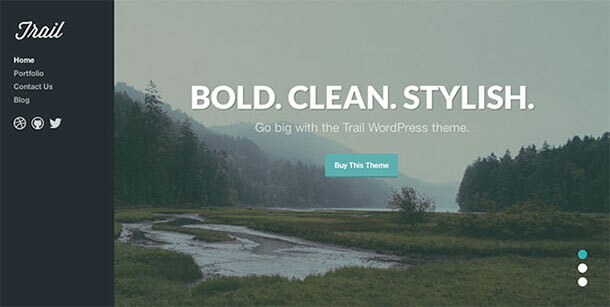 This WordPress theme is 100% responsive (Bootstrap). It is has multiple home page templates and multiple gallery templates to showcase beautiful photography portfolio. It’s clean modern minimalist look is perfect for even the best photographer. A clean theme to display creative work products. 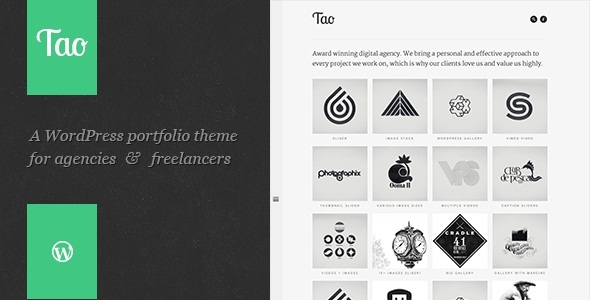 You’ll have awesome portfolio options to work with and display your work. 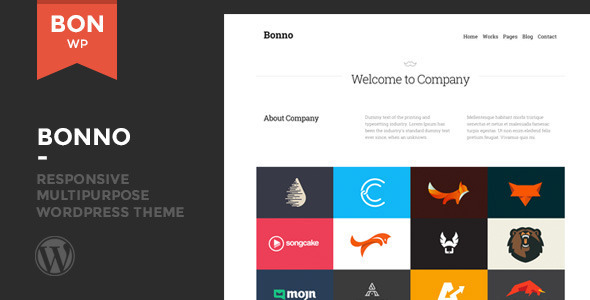 The management of your portfolio is made easy by this theme. Advanced custom fields can be utilized to add content to your page very easily and systematically. The theme makes available to you two unique page templates to choose from and offers unlimited blog layout possibilities. Uberto is a blogging theme for WordPress that’s really going to make an impact on your readers. The style is straightforward and simple, easy navigation make this a theme that will help your readers find your content quickly. Knoll is a minimal, clean and modern portfolio theme for WP that gets your photographs the one thing you really need: attention. You can also use it as a great minimalist blog too.